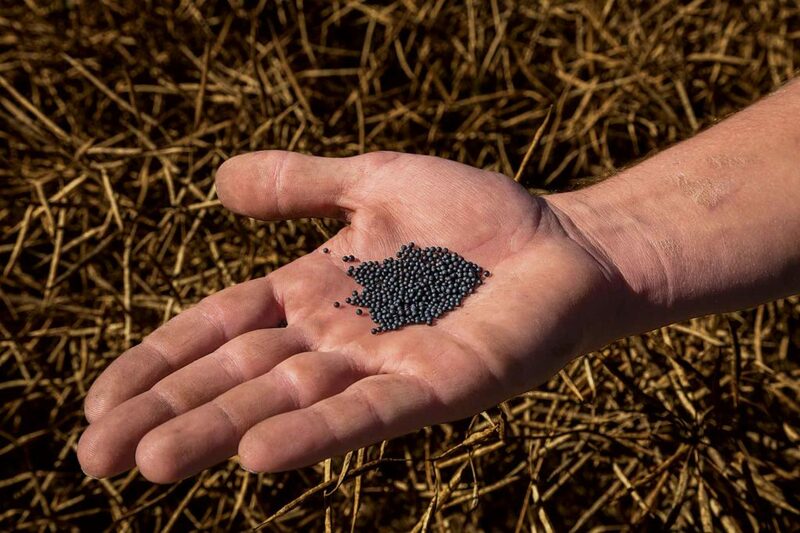 What is the secret to growing huge canola crops? 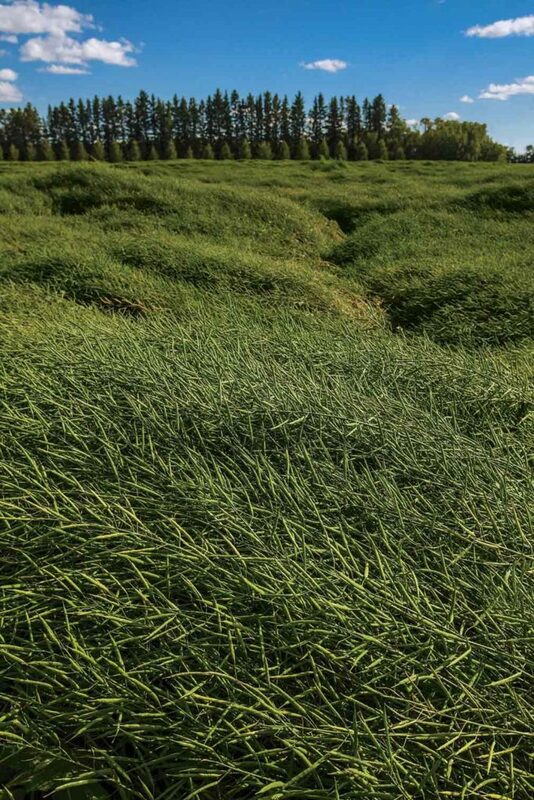 The average canola yield in Canada has stubbornly remained in the 30-bushel-per-acre range for years. Yet some producers in all growing regions of the Prairies are routinely doubling this annual average; a few are now even starting to triple it. What are these canola kings doing right that the rest aren’t? Top finisher. Jim Herder from Sylvan Lake, Alberta, routinely grows some of the highest canola yields in Canada. It’s common to find his name among the top finishers of Dupont-Pioneer’s annual Canola Yield Challenge. One of his fields placed second nationally in 2015 with a yield of 84.3. Herder was looking forward to finally cracking the 100-bushel mark in 2016 before wet fall weather caused harvest delays. Plants in his competition field had 88 pods on the main stem. At the time of writing (late October) it was still in the field waiting to be combined. Jim Herder was looking forward to harvesting a 100-bushel canola crop until wet fall weather caused harvest problems. Herder uses manure from his feedlot operation and from a nearby hog farm plus nutrient-rich waste from a nearby ethanol plant to provide his base fertility levels. Every field is soil tested in the fall, and he works closely with a local agronomist to tailor to each field’s fertilizer needs. There really is no magic pill that will give you a big jump in your canola yield, Jurke says. Spending five dollars on a micronutrient package won’t help you if you are only going to apply 60 pounds of nitrogen. You should be putting on 120 pounds if you want to have yields in the 60-bushel range. After that your results will be determined by whatever your next limiting factor is. Right seed. Getting top yields starts by selecting the right seed for your farm, Herder says. One advantage to having a reputation for growing big crops is all the seed companies are eager to have him test their latest and greatest offerings. Herder grows half-mile long, 50-foot test strips of five or six varieties every year to compare their performance against each other and to baseline check plots. The final results determine which varieties he grows the following year. Herder says you can’t be shy about applying nutrients if you want to maximize your yields. Ultimately 80% of your yields are determined by your weather, Herder says. His area has an almost perfect climate for canola. Still he does everything he can to optimize his yields on all 1,200 of his canola acres. Every acre gets a fungicide every year, and he continually monitors for insects. Details matter if you really want to push yields, Jurke says. Are you seeding at the optimal time and depth? Are spraying applications timely? Ammonia has scientists and regulators looking up. Family works together to implement their farm’s succession plan.